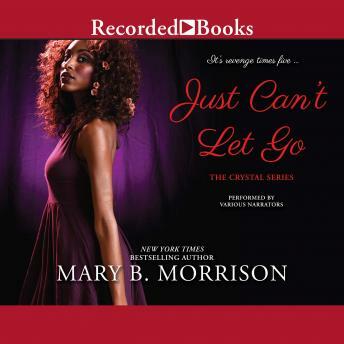 New York Times bestselling author Mary B. Morrison delivers an explosive second novel about the unforgettable Crystal women, a family battling to stay together as desire, deception, and ever-elusive happiness threaten to tear them apart. Too much is never, ever enough for Alexis Crystal. She's playing a dangerous game, but she's finally close to getting 24/7 sizzling satisfaction. With a ring on her finger from James Wilcox and the woman she loves firmly between her sheets, no one can match Alexis when it comes to scheming. And her duplicity just makes her better at helping her siblings get revenge on the lovers who are doing them wrong. . . Devereaux Crystal just about has it all. Producer of TV's hottest new reality show, she's engaged to entrepreneur Phoenix and will do anything for their adorable two-year-old, Nya. She and Phoenix have always set it off in the bedroom, but lately Devereaux is starting to question whether Phoenix will ever make his own success, much less set a wedding date. Soon, his seductive excuses and tantalizing evasion finally lead her to an unthinkable truth: Ebony, the fiery star of Devereaux's series, is keeping Phoenix primed, hot, and at her beck and call. But Devereaux is holding all the cards-and she plans to use them to exact the sweetest revenge. . . With the help of her sisters, Devereaux sets out to blow up Phoenix's house of lies. But the explosion ignites its own chain of devastating consequences. Because no one should mess with the Crystal women without expecting some fierce payback. . .